A man was taken to Conquest Hospital, in Hastings, with an arm injury after a road traffic collision this morning (Wednesday, September 5). The collision happened at Cripps Corner, in Robertsbridge, at approximately 7.30am. A spokesman for the South East Coast Ambulance Service said: “Ambulance crews attended the scene following reports of an RTC at approximately 7.30am this morning. Hastings Police closed the road as officers dealt with the scene. 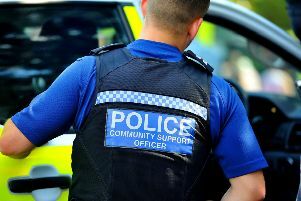 At 10.12am Hastings Police tweeted to say: “Officers have dealt with an RTC this morning at Cripps Corner Robertsbridge – the road is now open.